Choi "Polt" Sung Hoon is a Korean player who plays Terran in Starcraft II. Polt is currently ranked #197 in highest overall earnings, and #37 in highest earnings for players from Korea, Republic of. The most money that Polt has won from a single tournament was $91,996.32 from GSL Super Tournament 2011 on June 18, 2011. He placed 1st, making up 20.36% of his total prize money won. 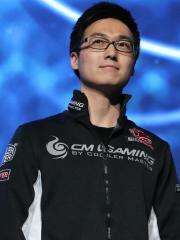 On July 30, 2011, Polt arrived at the $100,000 milestone, winning $1,898.34 and placing 9th-16th at GSL July 2011 (Code S). Prize money from 10 tournaments got him to that point.